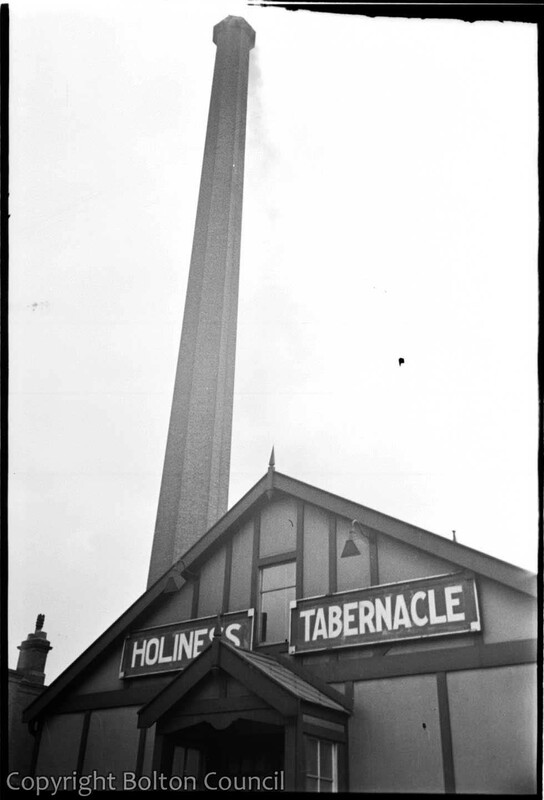 Holiness Tabernacle and chimney, Southend St, Bolton. This church was built in 1932, replacing a tent which had previously housed the congregation on Daubhill’s former market place. The building has been demolished and the Church of the Nazarene now stands in its place.